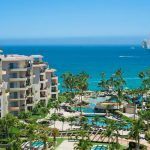 Mexico has been, and continues to be, one of the most popular vacation destinations, particularly for beach getaways and all inclusive resorts. There are a number of exceptional options available for all ages from the youngest to the oldest visitor. So what makes Mexico so attractive to tourists? Weather – The coastline of Mexico pretty much guarantees sunshine 365 days a year, with the best weather actually being during North America’s winter season. Cuisine – Mexican food is worldwide renowned even in its most simple form while the top destinations are also celebrated for their exceptional restaurants and modern twists on traditional dishes, in addition to international menus. Impeccable Service – Mexico is famed for its service industry, and one of the advantages of visiting Mexico is the warmth of the locals and staff, as well as high levels of English spoken. On the Pacific Coast, this now sophisticated vacation resort was once a quaint sleepy fishing village. It boasts a newly renovated boardwalk that stretches the distance of the downtown area and an inexhaustible number of gourmet restaurants and local eateries. In addition to soft sandy beaches and an enviable nightlife, Puerto Vallarta’s tropical mountains provide a picturesque backdrop to an incredible tourist destination. 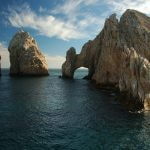 At the tip of Baja California, Cabo San Lucas is a celebrity hot spot as Hollywood A listers and TV stars head to its impeccable beaches and exclusive hideaways. Renowned for its colorful nightlife and adventure activities, this is a great place for young people during spring break yet has more peaceful areas for family vacations and retirees. The turquoise hues and brilliant white sands of the Caribbean speak for themselves and Cancun is no exception. This idyllic beach vacation destination leaves visitors wondering if they have died and gone to heaven. A city with something for everyone, a Cancun vacation is always a great choice and one that will leave you with memories worth treasuring forever.